This is....well, this is not correct. 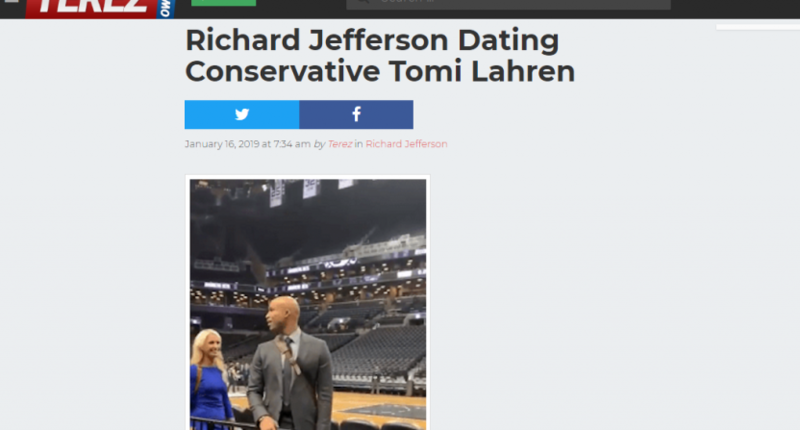 Terez Owens, a gossip site that exists to part fools from their precious time on earth, ran a post today saying Richard Jefferson is dating Tomi Lahren. Then there are a bunch of Tomi selfies. The site instead retweeted it at some point, because who needs details? They are indeed the victims here.